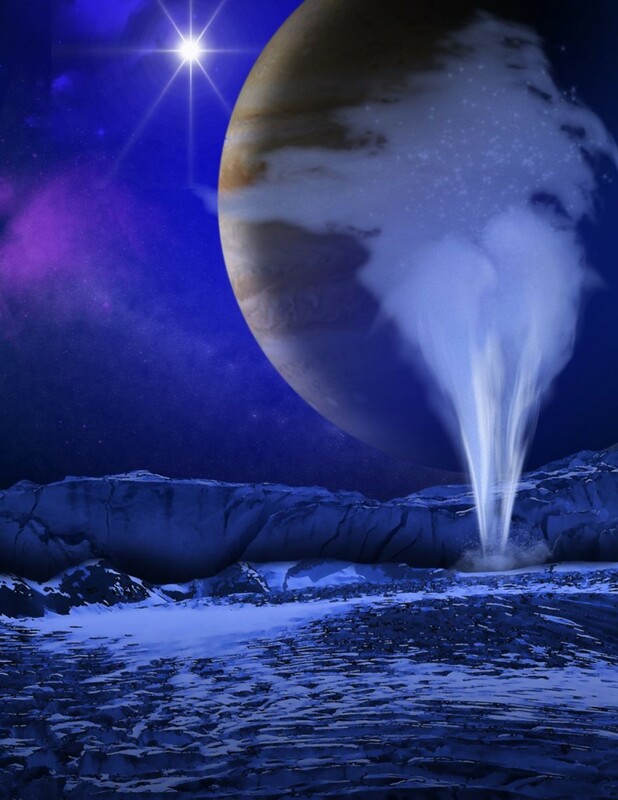 This is an artist’s concept of a plume of water vapor thought to be ejected off the frigid, icy surface of the Jovian moon Europa, located about 500 million miles (800 million kilometers) from the sun. Image Credit: NASA/ESA/K. Retherford/SWRI. This entry was posted in Science News and tagged astrobiology, Europa, Hubble, ice, JETS, Jupiter, ocean, water on 2013-12-18 by Heather Dalton.